After picking up our Suzuki Jimmy ( this car is just great ! It is big enough to carry 4 people with 3 bags and goes perfectly with the unique Greek landscape ! 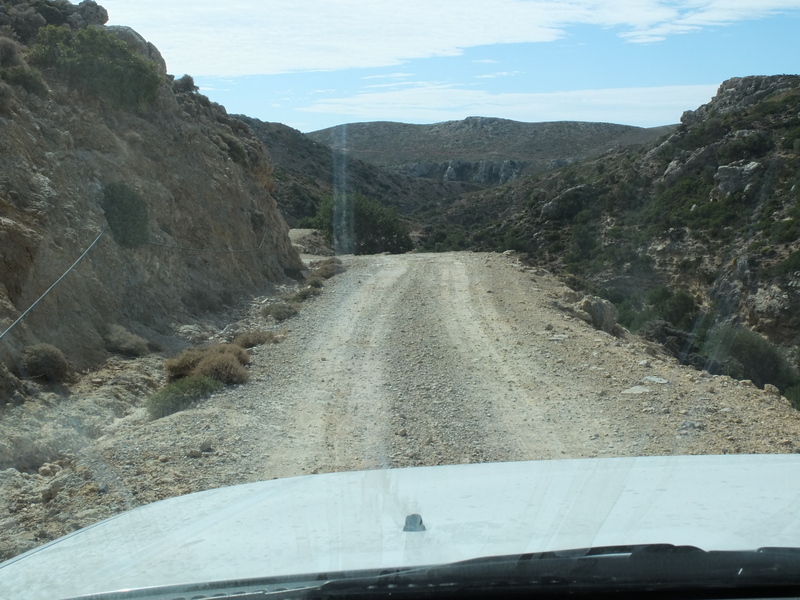 It is a 4WD Four Wheel Drive which is a must if you want to see some wild places on Crete ) we headed to Kalathas where we stayed at Esplanade Apartments. 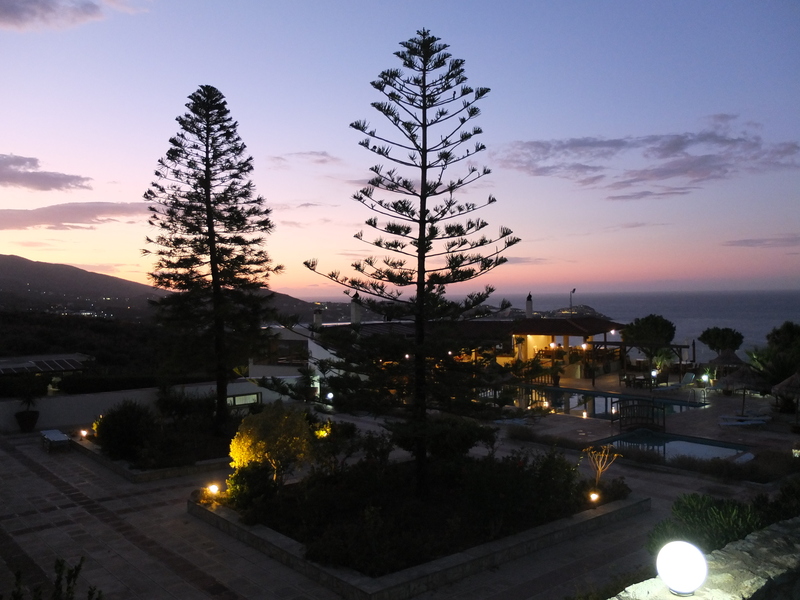 We arrived late in the evening and were warmly welcomed by Yiannis – the owner. After a bath in the swimming pool and a lunch at the restaurant at the beach ( the fish we had at the restaurant was awasome ! Try the small fried fishes when you are there! ) we left Kalathas and headed to Agia Pelagia near Heraklion in order to get a ferry next day to Santorini. 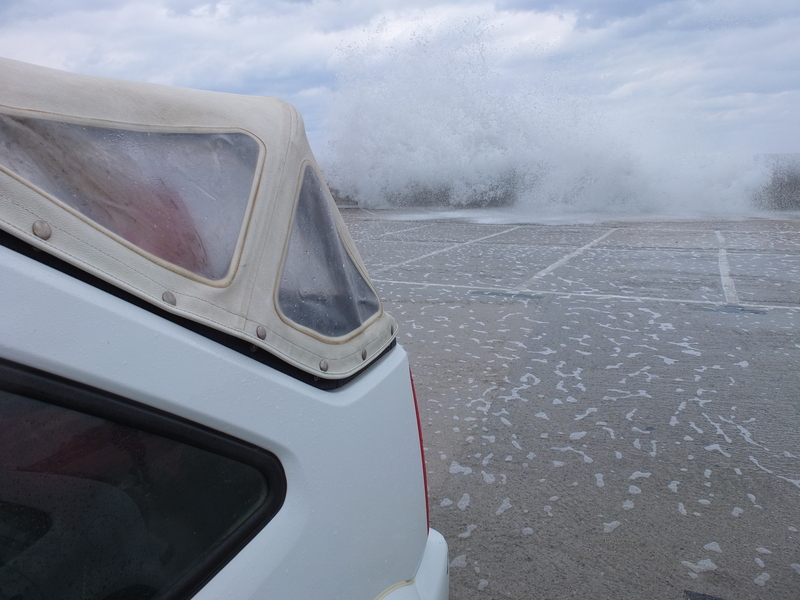 On the way to Agia Pelagia we were caught by a very heavy rain which didn’t stop until we arrived at the hotel. 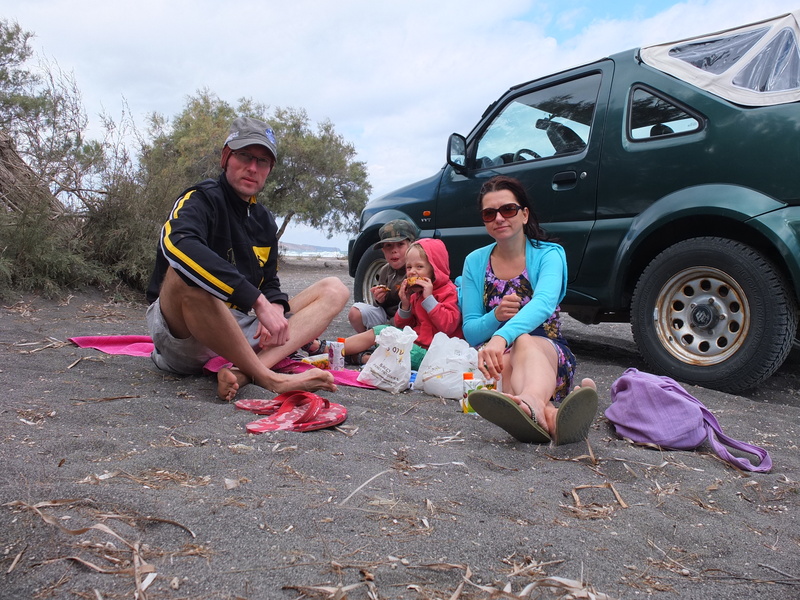 When we drove off the national road and were driving down to Agia Pelagia the rain water formed small rivers on the road and it was good fun driving the 4WD Jimmy down ! 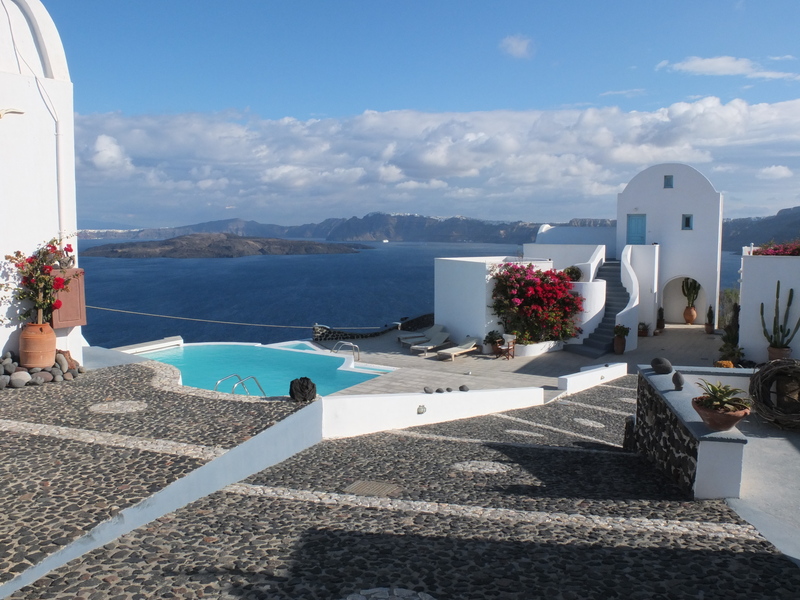 We stayed at Spiros-Soula Hotel which has great pool, superb kitchen and great view over the Agia Pelagia area. It was a long day full of surprises … One of these days where nothing goes on plan and you have to improvise. It started early in the morning when we arrived at the port in order to get a ferry to Santorini. 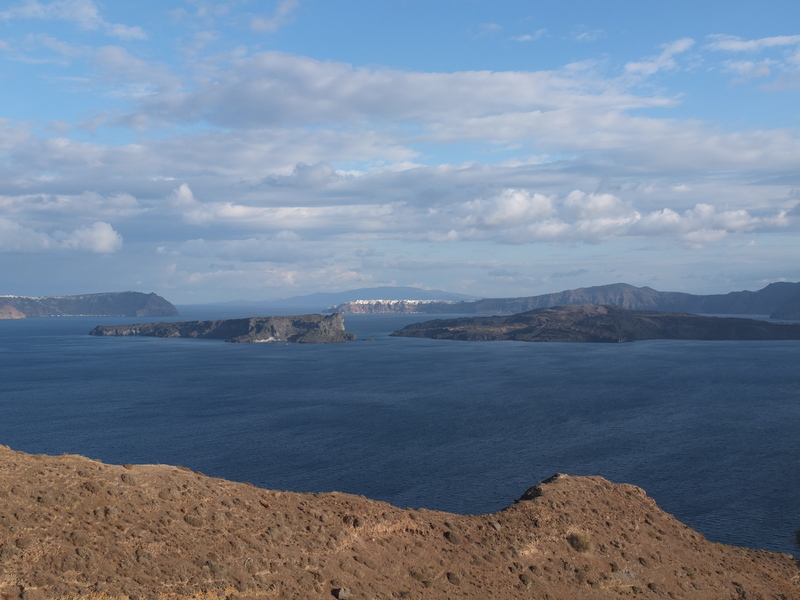 According to information given on the Internet there supposed to be a ferry everyday to Santorini island. It was impossible to book it online before the arrival because I didn’t have the vehicle registration plates yet which were required in order to book tickets ( It was a rented car ). We were informed that there is no ferry today and the next one goes tomorrow but is fully booked anyway so I should call in the evening to check if there are any places free … So what now ? How do we get to the island ??? We have already booked hotels there for the coming 2 nights … I went to a travel agency located on 25th August street looking for other options and the woman asked: Why don’t you fly ? I said: This is going to cost me a fortune !!! And she responded that we can take Minoan Air flight at 7PM which will cost the same price as the ferry and than come back with a ferry in 2 days ! The day was saved !!! The only problem was that the car had to obviously stay at the airport so we have to rent a car for 2 days on the island. We had almost a full day before the plane takes off so we went to visit the Knossos Palace and Archanes area where majority of Cretan wines is produced. Everybody was happy that we found a way to get to the island until we saw our plane 🙂 It was Fokker 55 with 2 rotor type engines. There were only 8 passengers on the board so our family was 50% of total. When we took off and the plane started to shake we had to keep smiling so the kids will not suspect that we are nervous… It was the shortest flight I ever had – is took less than 30min. 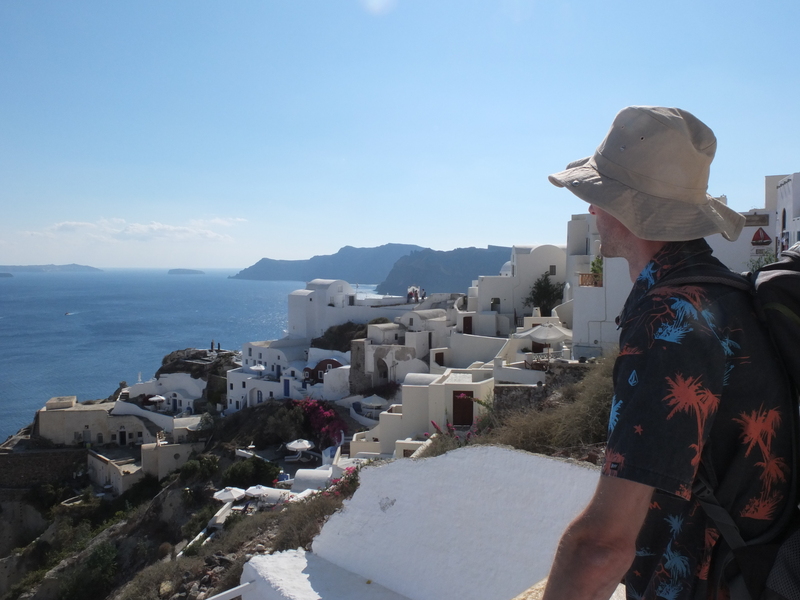 It was a short journey with an adrenaline shot 🙂 When we arrived to Santorini we went straight to the rental car offices and asked if they have any Suzuki Jimmy spare because we miss our Jimmy abandoned at the Heraklion airport …. After a short drive through some tiny roads in the dark we arrived at Apanemo Hotel. The room was beautiful ! We left our stuff in the room and drove 500m up the road to a restaurant when we had late dinner and kids fell asleep on the table …. We enjoyed great breakfast on the terrace and home made donuts. Everybody had at least 4 of them ! It was sunny but a bit windy on that day but this didn’t stop us to enjoy the unique swimming pool with breathtaking view on the volcano. 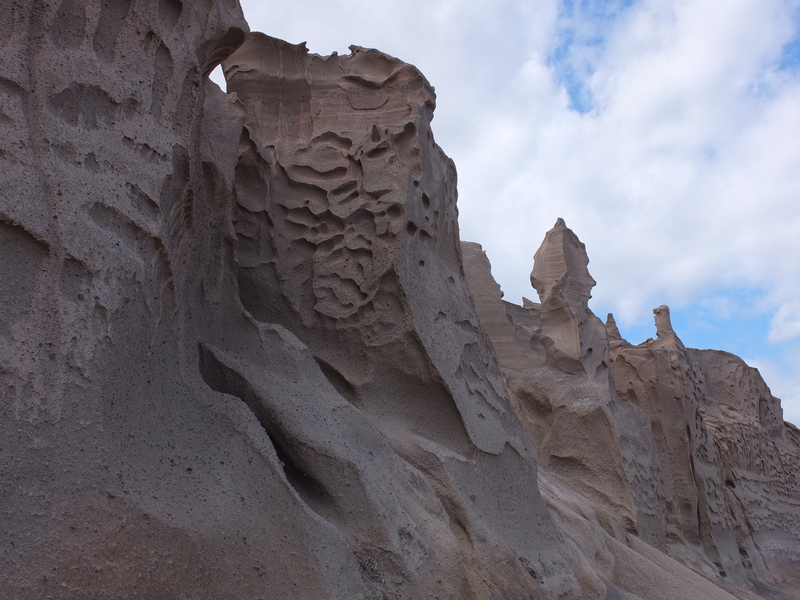 After visiting the most south-west side of the island including some well hidden beaches and the famous red beach we drove on the other side of the island, to Ohia where we booked 1 night at Old Ohia Houses. 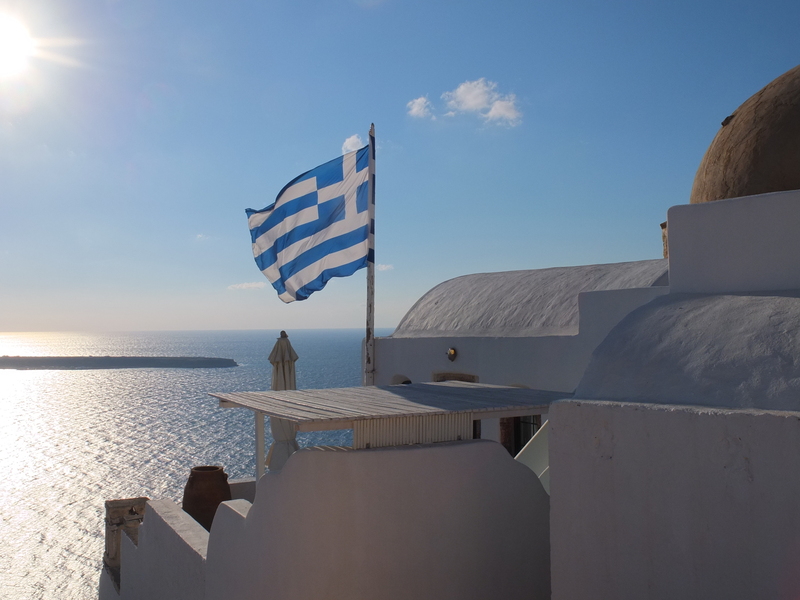 In the evening it was the time for the famous sunset at Santorini island. The sunset was nothing extraordinary but the views offer by the unique Oia buildings were superb. 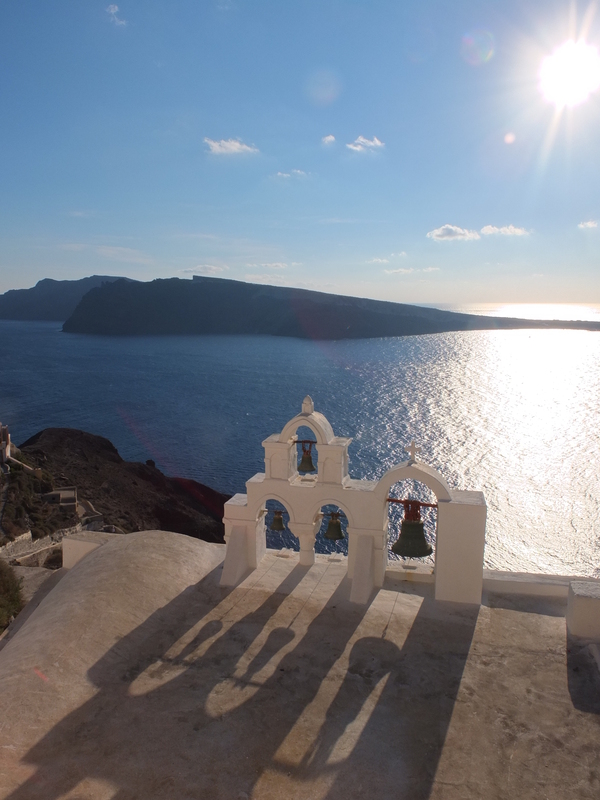 After an unforgettably breakfast view a view on the volcano we went to explore the beautiful city Oia. 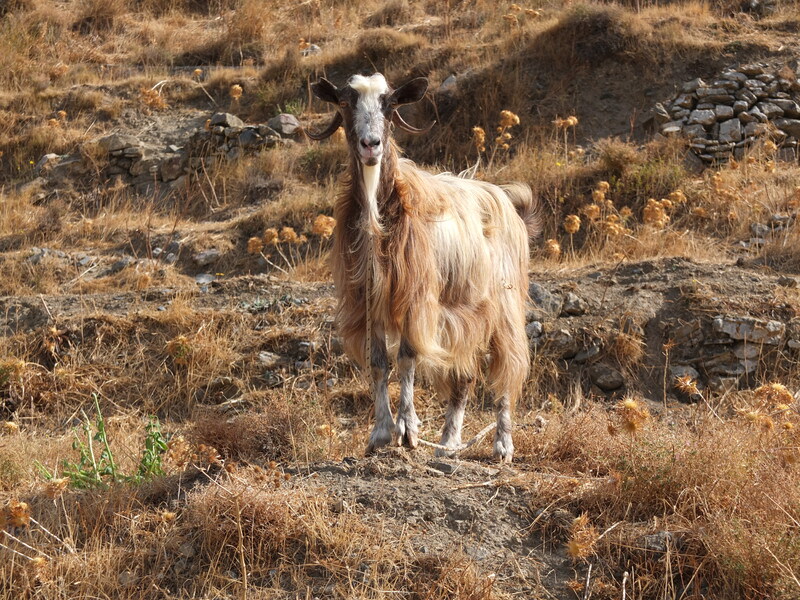 Travelling through the east side of the island: Monolithos – Emporio – Perissa. 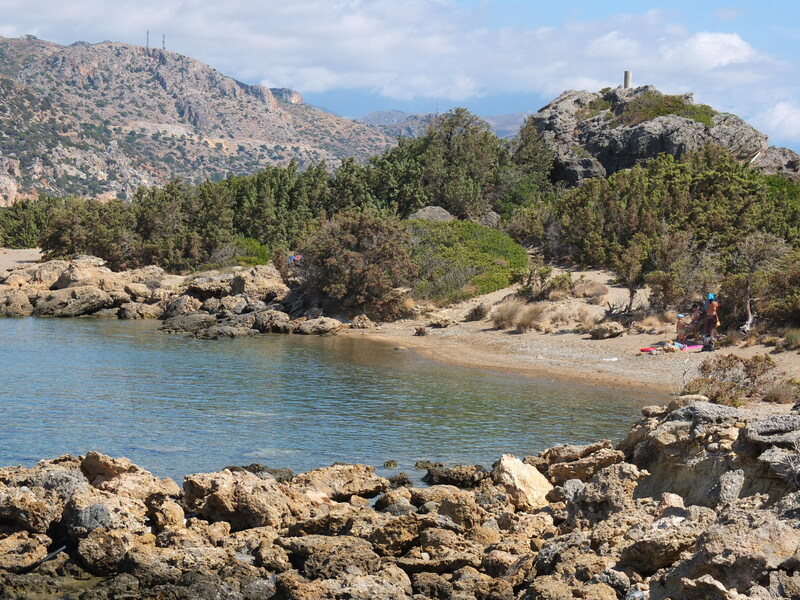 The Monolithos beach is a must when travelling through the island. It was a windy day so when when we arrived the beach was empty and we had it for ourself. A unique experience bearing in mind that we are on Santorini island 🙂 The rocks at Monolithos beach are very impressive and for a short moment you can feel like being on a different planet… We leave our Jimmy No.2 at the Thira Port and take a high speed ferry to Heraklion. After arriving at Heraklion port we take taxi to Heraklion Airport where we left our old friend Jimmy. We arrive at 22:30 to Rethymno where we stay at Olga’s Pension located in the old town. 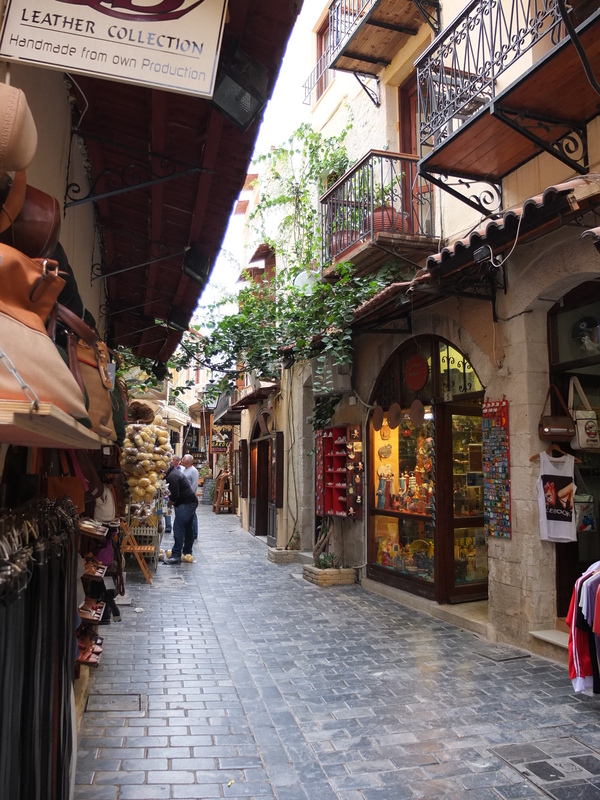 After a good breakfast at Stella’s Kitchen located just next to the pension and a chat with the owner we went to explore the old town of Rethymno. It is a nice town with lovely narrow streets and lots of different small shops, cafe bars etc. When we collect Jimmy from the parking lot where the waves flush through the walls at reach poor Jimmy. We get into the car in a hurry and drive off direction Paleiohora. The distance is only 130 km but the road leads through high mountains which protects the south part of the island from mass tourisms.We arrive at the Camping Grammeno in Paleiohora. The southern part of the island is much less populated. Beautiful beaches! Our bungalow is only 20m from the beach. It is a sunny day but the wind is very strong. The night was quite cold but the wetter will get better everyday. At about 1pm weather calmed down and it became warm and sunny. Near the camp is a small peninsula with beautiful beaches surrounded by trees. Here we spend half of the day. 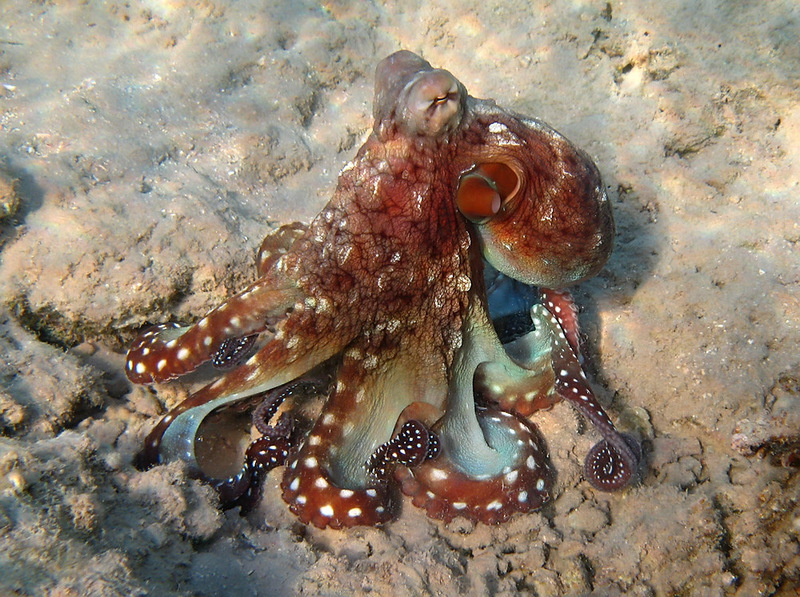 We swim and snorkel in the crystal clean water. Lots of different fishes ! The kids have fun in the water. We also collect mussels. 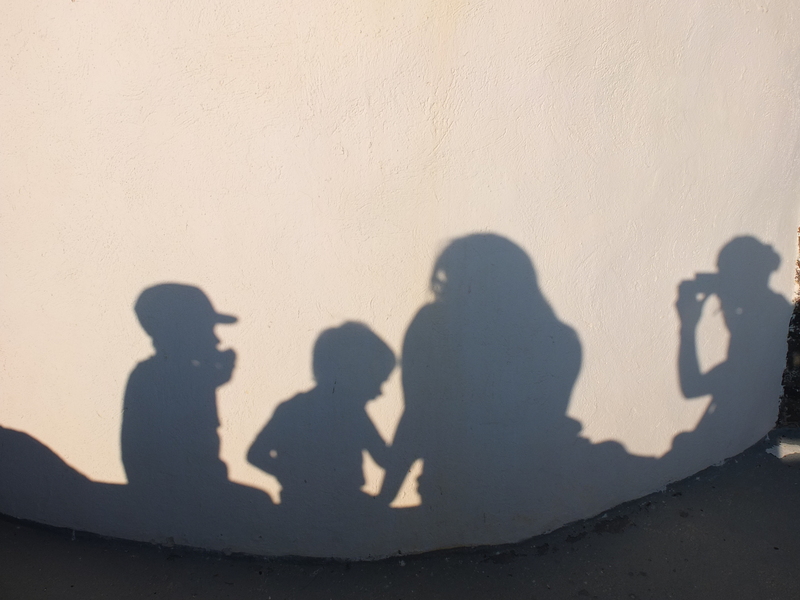 In the evening we had dinner in the city, go back to the campsite and later play with the boys on the beach. In the evening we watch stars at the clean sky over Paleiohora. We return in the evening but this time we stay on the asphalt roads. The distance is about 50km and it takes approximately the same time as through the mountains. We take it easy today …. 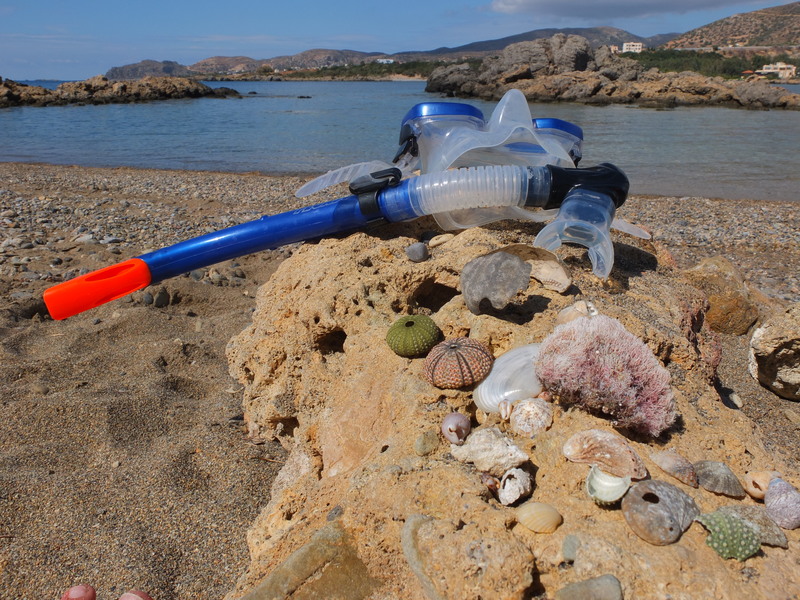 Swimming, snorkeling, collecting mussels. We finish the day at Pizzeria Odyssey in Paleiohora. The weather is getting warmer everyday … It is almost 30 degrees… We spend the day on the beach. We say goodbye to the beautiful beaches and do last snorkeling. 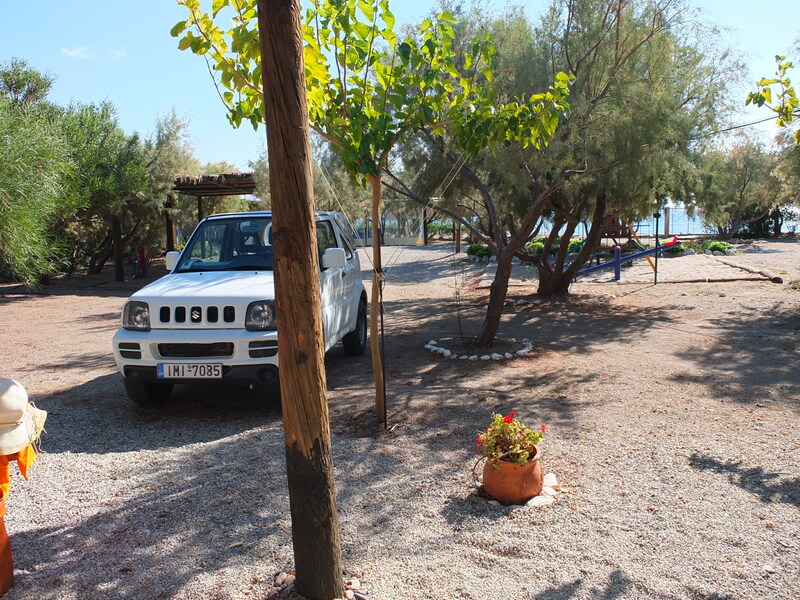 We leave Paleiohora and the drive through the mountains to Orestis Hotel in Upper Stalos. GPS showed only 80 km but it take us two and a half hours to get to Upper Stalos. The roads is very dangerous in some places. Lots of stones lying on the road. If you plan to drive through these mountains consider driving during the day. These stones are probably invisible in the dark …. At about 4pm 16.00 we arrive at Orestis Hotel where we are welcomed by Platon – the owner ( a math teacher ! ). This was the warmest welcome we had so far during our stay ! He offered us a glass of juice and gave us some basic information about the village itself, Chania and sourroundings. We take a bath the swimming pool and do a short walk in the village. It is a small agricultural village where there is not much happening but when you take a closer look you will see the everyday life of a typical Greek village with it’s all beauty. We had great dinner at a traditional family Restaurant recommended by Platon just up the road. 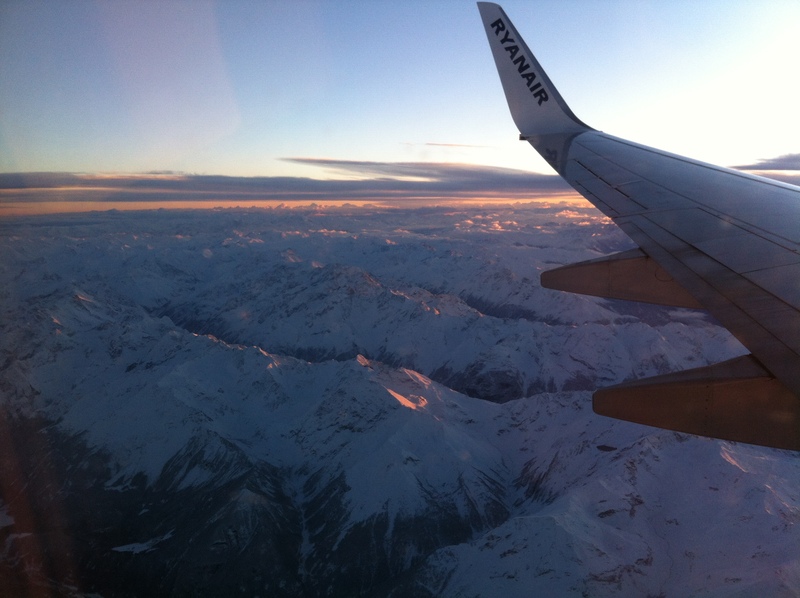 View of the Alps from the plane. They are huge !